2019 Subscription Box Awards: These Are Our Readers’ Favorite Boxes of the Year! Every year, we ask our readers to name their favorite subscription boxes across a number of popular categories. We want to know which boxes real subscribers can’t wait to see sitting on their doorstep—the boxes with the best value, the coolest brands, and the biggest wow factor. 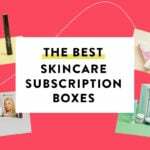 This year, we tallied over 4000 votes from subscription box fans just like you to name the top subscription boxes for beauty, fashion, and more. Now, we’re ready to announce the winners! Outstanding beauty, self-care, style, and home products to get or gift. Personal styling services and trend-savvy clothing rental programs that let you shop (or swap) ’til you drop. Makeup, haircare, skincare, even nail products—these boxes connect you with the best the beauty world has to offer. Try the hottest new products and hues, plus up-and-coming and vegan brands with cult followings. Experience the best serums, mists, moisturizers, masks, and K-beauty secrets for complexion perfection. Gifts, gadgets, and other awesome accessories guys will ACTUALLY enjoy. Age-appropriate boxes for every interest, from makeup to Marvel. The coolest new ways to help kids learn, play, and look their best. Skip the trip to the mall—these services make shopping easy, affordable, and fun. You know we love a great deal, and so do our readers! Upscale subscriptions that promise the most bang for your buck. Yes you CAN make fast, delicious meals at home. Here’s how. Like having your own personal sommelier (but way easier on your wallet). Stock up on must-read titles for every genre, budget, and reading level. These flirty boxes are 50 shades of GREAT. We also have 3 NEW categories for this year! Never tried a monthly box before? These subscriptions prove that the hype is real. Awesome monthly boxes are great. Savings and special offers in addition to awesome boxes? Even better. Did your favorite subscription box make the list? Tell us which other boxes you’re loving right now! See all of the 2019 winners here, and don’t forget to see how this year’s winners stack up against our 2018 and 2017 lists. Oh look all the big boxes won since there were zero categories for smaller boxes to be in. Looks like a paid ad and not an actual award of anything. Disappointed. It’s a reference to try new subs! Any boxes to do with women, we got pretty much the same results, just in different orders: fff, popsugar, boxy, Ipsy, rzbos… I had hoped to get one or two suggestions for a different box. Oh well. Really disappointed in FFF right now. My box should have shipped by the 15th and I was sent an email saying it was delayed with no definite timeline on when it might be coming. This was my first and will likely be my last time getting this box. There are just too many other options out there. Disappointed that FFF is first. After subbing to multiple boxes (all the ones listed) for several years, I’ve come to resent FFF for their deceptive advertising and low quality lifestyle items. MSA has blown up…hopefully they can use this data to increase revenue with their affiliate programs 😊 I find their ever improving site and content valuable! I’m struggling to remember all of the categories we voted on but wasn’t there one like “My one and only” as in the one sub box you would keep if you had to cut them all down to only one? I think it was the last one we chose in the list. None of the ones listed above look that that….?? Hi! There were two of these categories, “one and only” and also “your first subscription box”. You are right that they’re not included in the awards posts linked here, but we still plan to share those results with everyone for fun! 🙂 Coming soon! Cool. Thanks for the update! I love Fabfitfun. 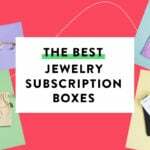 I have been a subscription box enthusiast for years, but this one is truly a joy! It’s a nice mix of lifestyle and beauty with quality products. Blows the socks off Box of Style. I see that they’re on the other lists! Yes I agree they have become incredibly awesome!